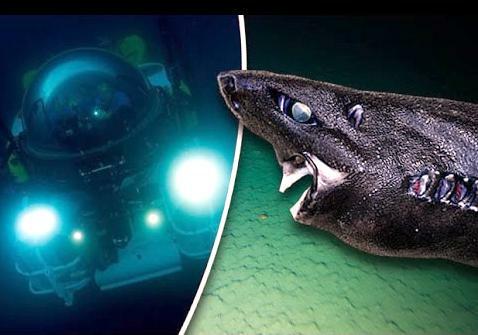 You will never see this shark coming, not because it’s dark & elusive but because you won’t be swimming below 1,000 feet deep off the coast of Central America any time soon. 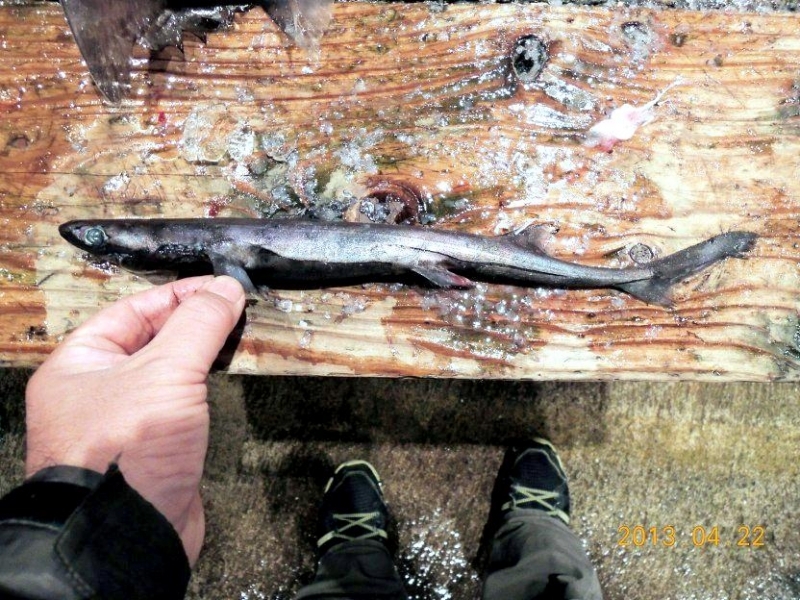 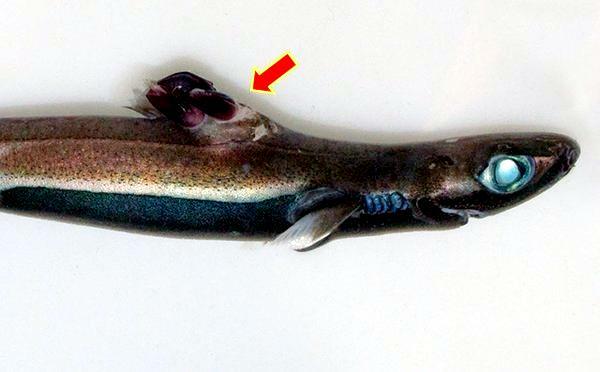 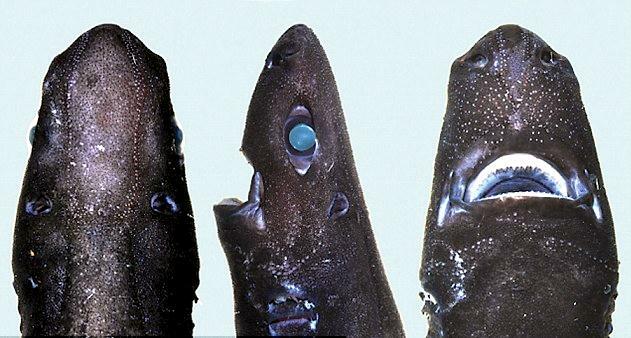 A new species of elasmobranch called the Ninja Lanternshark, is described from 8 specimens collected off the Pacific coast of Central America at depths ranging between 2,624 feet to 4,720 feet (830 and 1,440 meters) in the Pacific waters mainly off the coast of Costa Rica and Panama. 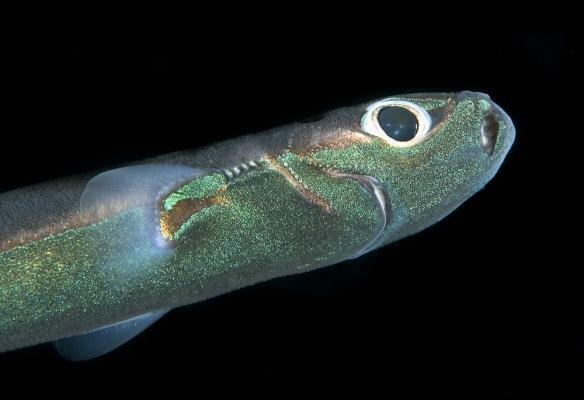 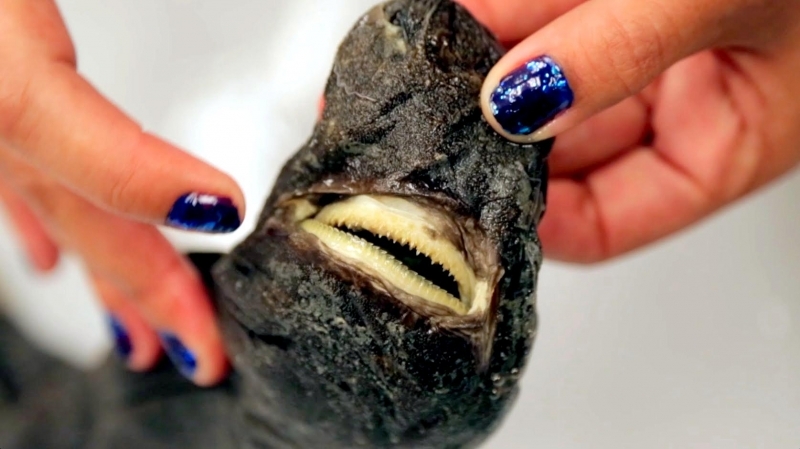 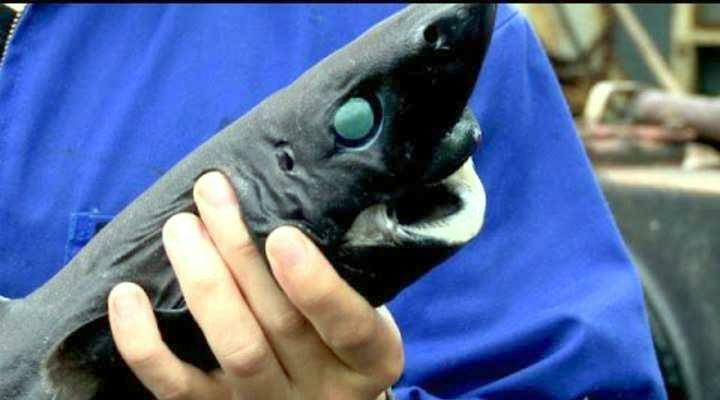 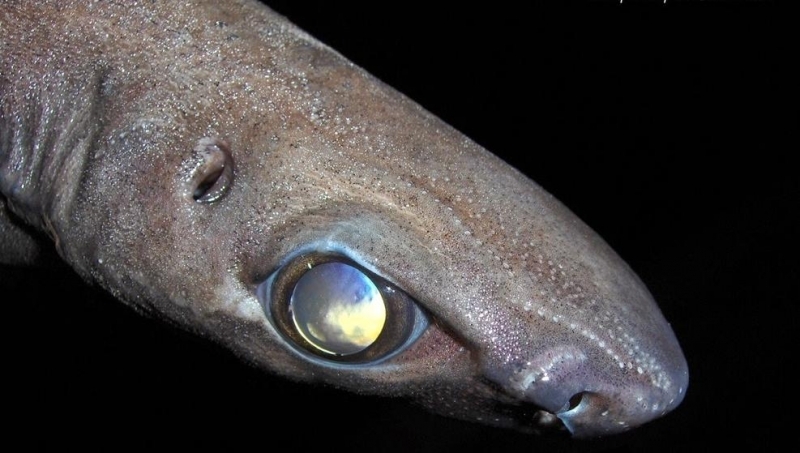 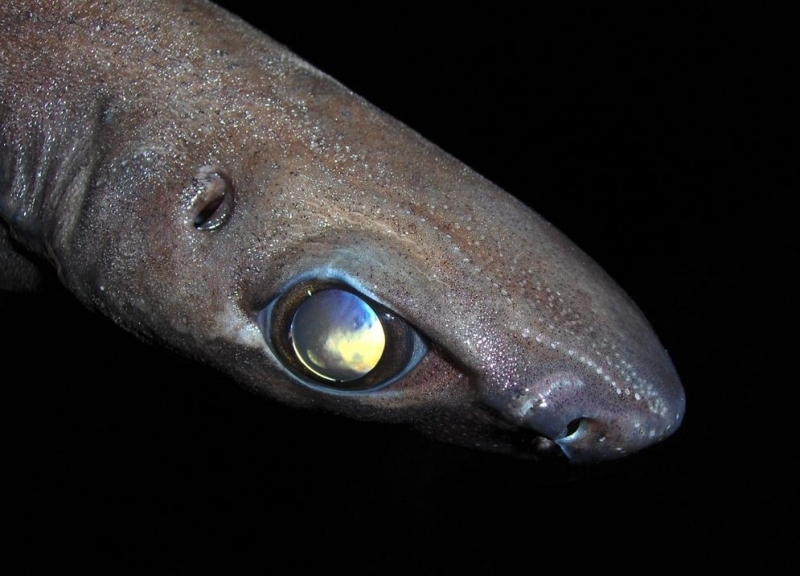 Scientists during 2015 conducted research, have just discovered this new species of shark, one with jet-black skin, bulbous eyes and special cells that allow it to glow in the dark and officially named after the late novelist Peter Benchley, the author of “Jaws”. 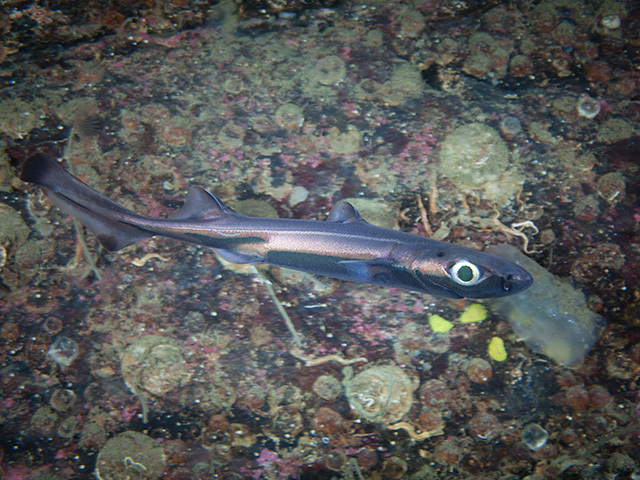 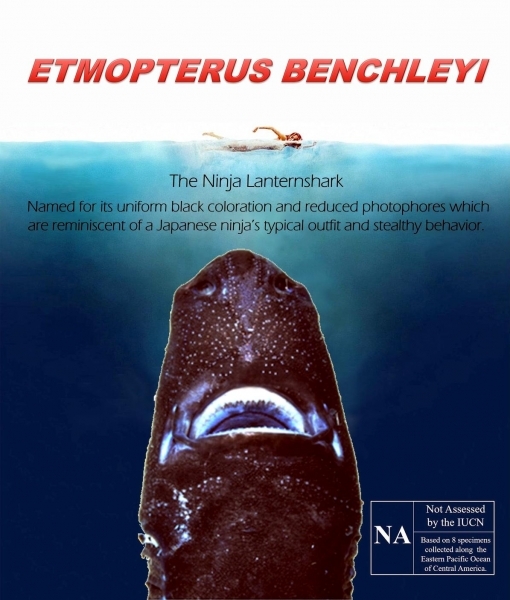 The discovery of the stealthy Ninja Lanternshark is just another example of how many species are still out in Earth’s water environments waiting to be described. 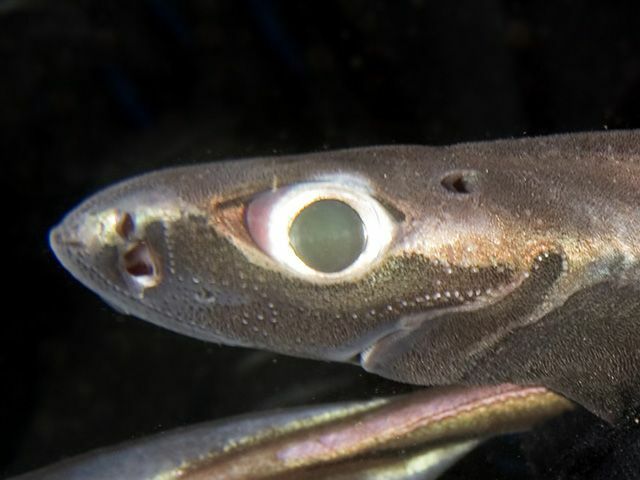 About 20% of all shark species have been discovered in just the last ten years. 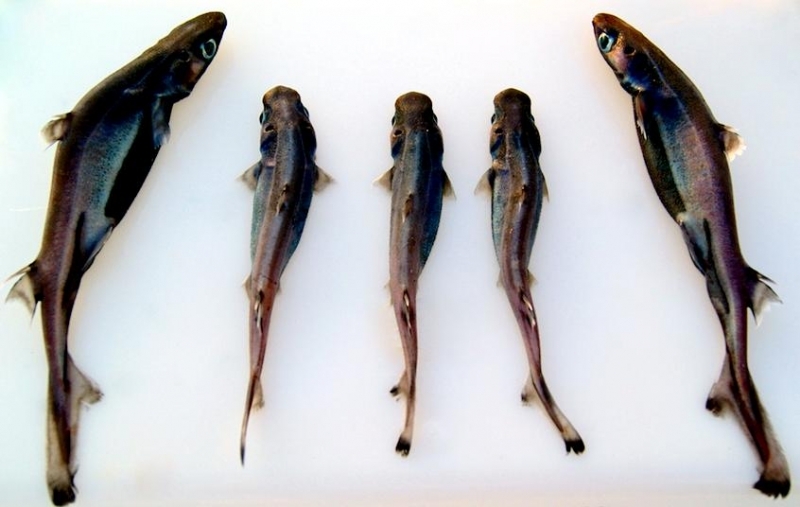 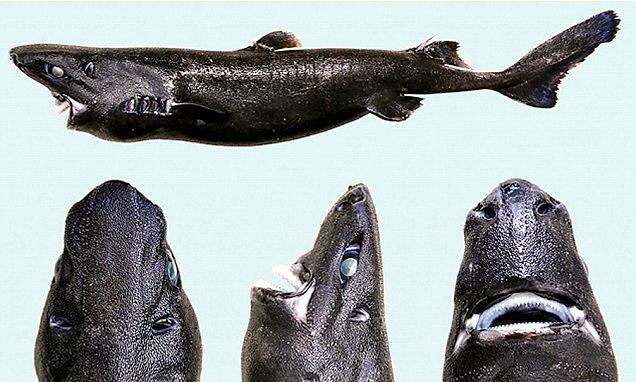 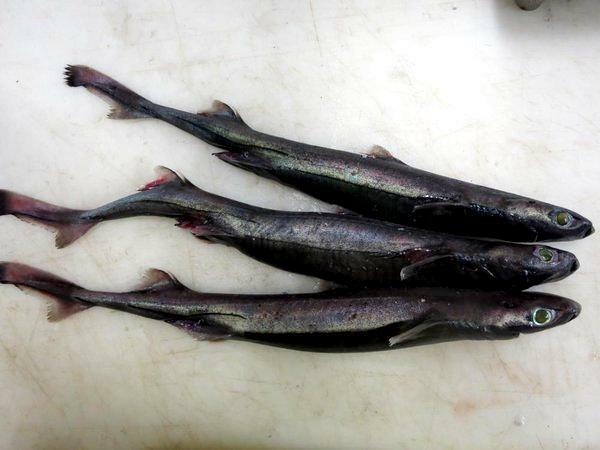 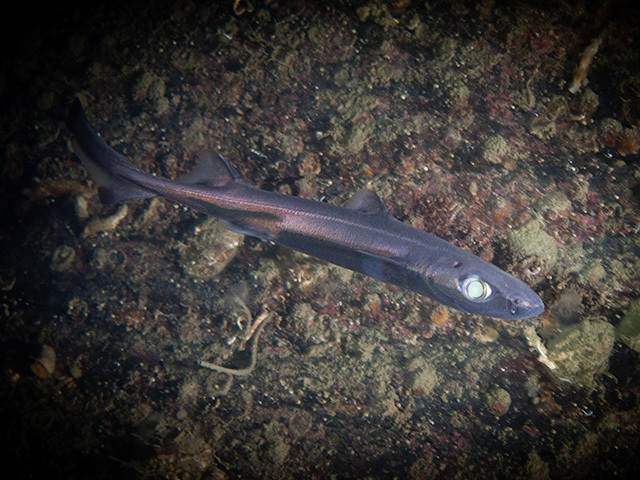 The Ninja Lanternshark is the first lanternshark to be found in the waters off the coast of Central America. 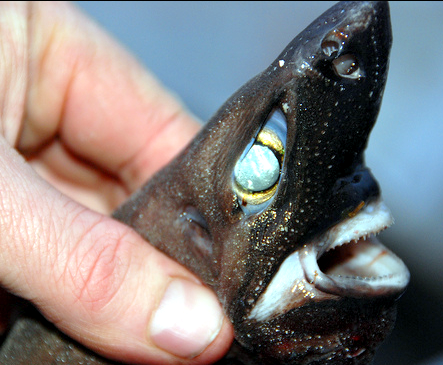 It can grow up to 19 inches (.5 meter) long and is the first species of lanternshark to be found in the region, which stretches from Nicaragua to Panama. 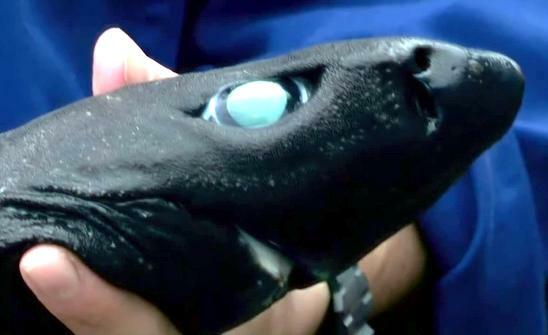 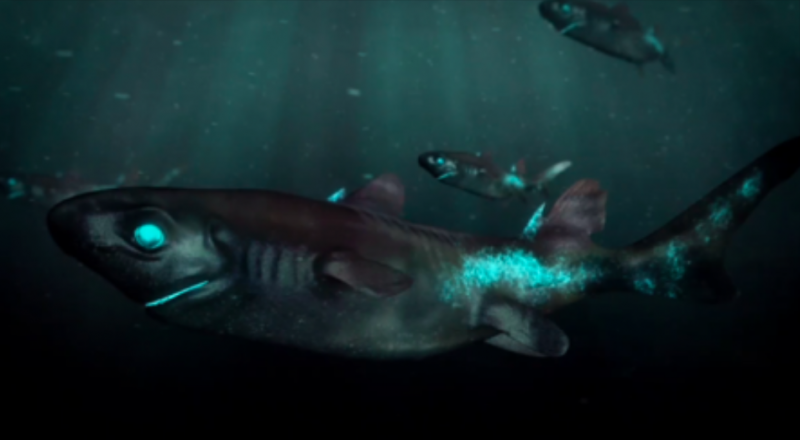 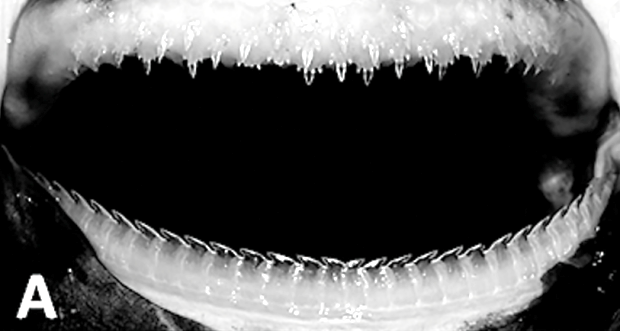 This shark uses photophores in its skin to produce a faint glow in the deep, dark ocean. 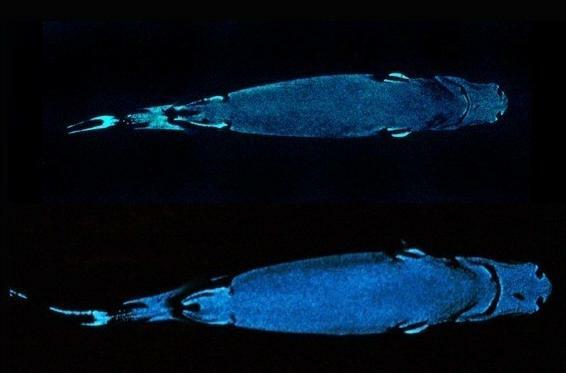 Scientists believe the animals use this cloaking ability to blend in with the limited light penetrating the ocean’s depths and appear invisible from below. 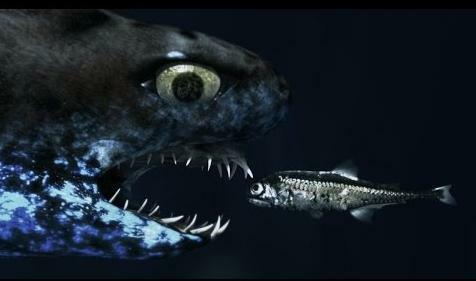 This helps them sneak up on small fish & shrimp while also avoiding becoming lunch for larger predators. 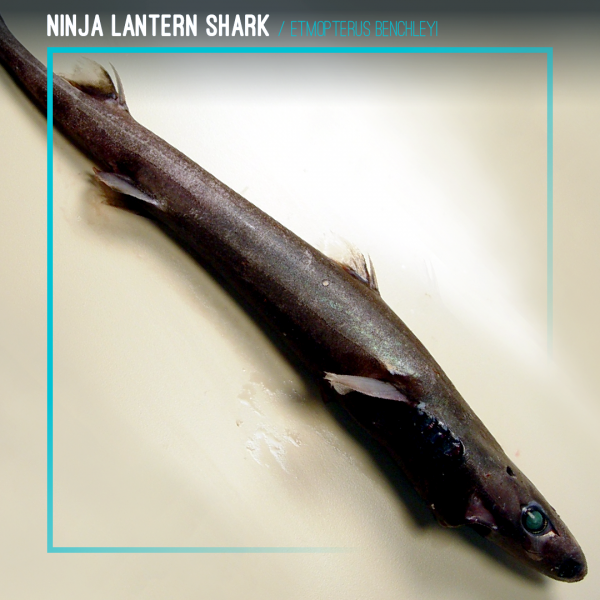 This super stealth, combined with the animal’s sleek, dark brown to black appearance led to naming it the “Ninja”. 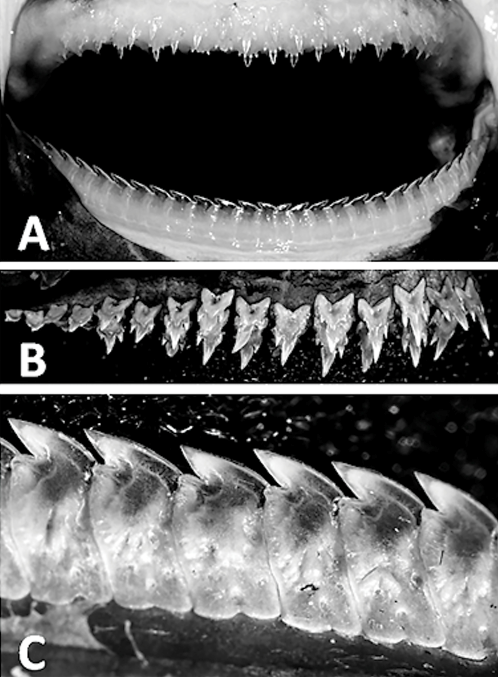 The new species is clad by a lack of flank markings and the moderately short, slender, hook-like, conical dermal denticles distributed over the body. 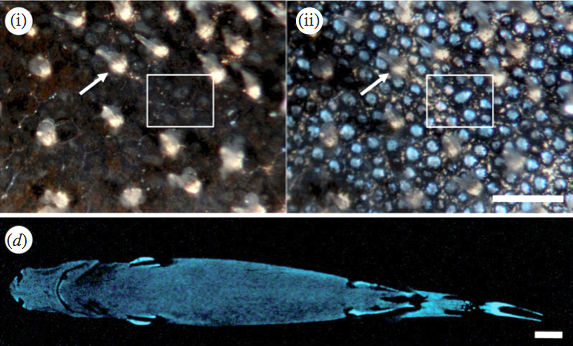 It can be distinguished from its closest congeners based on a combination of coloration, proportional body measurements, mesmeric counts, arrangement of dermal denticles and size at maturity. 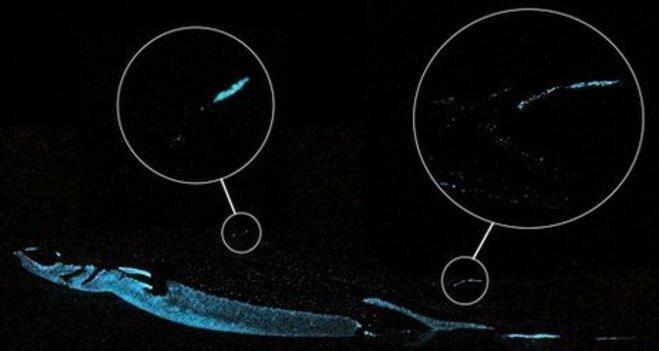 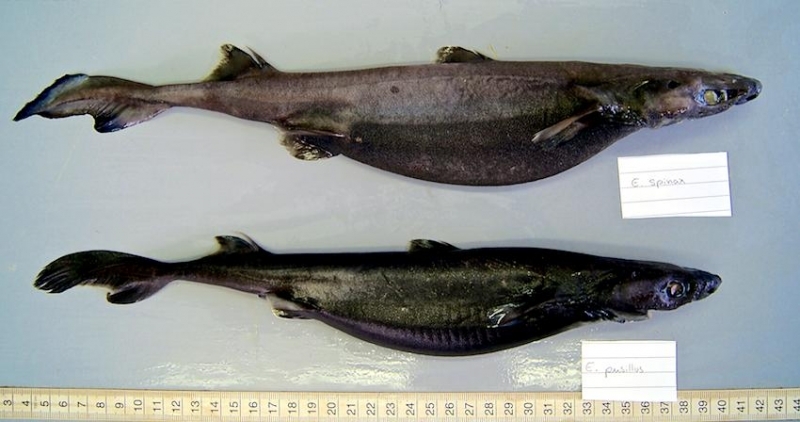 The dorsal fins of the new species are either similar in size or the second dorsal fin is slightly larger than the first vs the second dorsal fin distinctly larger. 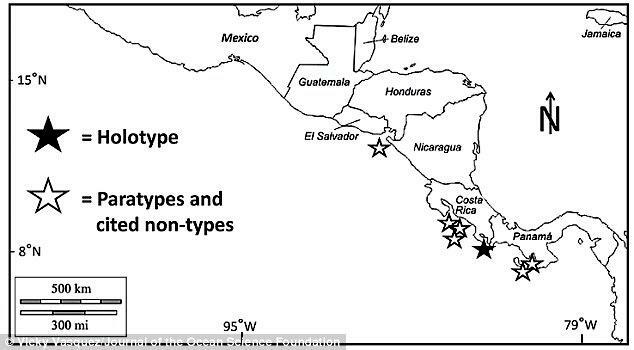 The pre-oral length is shorter in the new species (6.9-9.0% TL) than in its closest congeners. 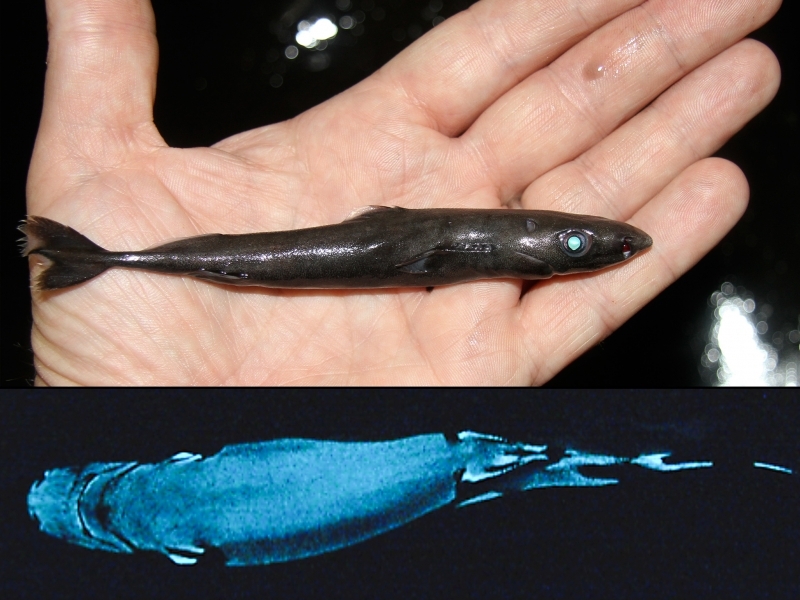 Photophores are sparse compared to other etmopterids and difficult to identify due to its uniform black color. 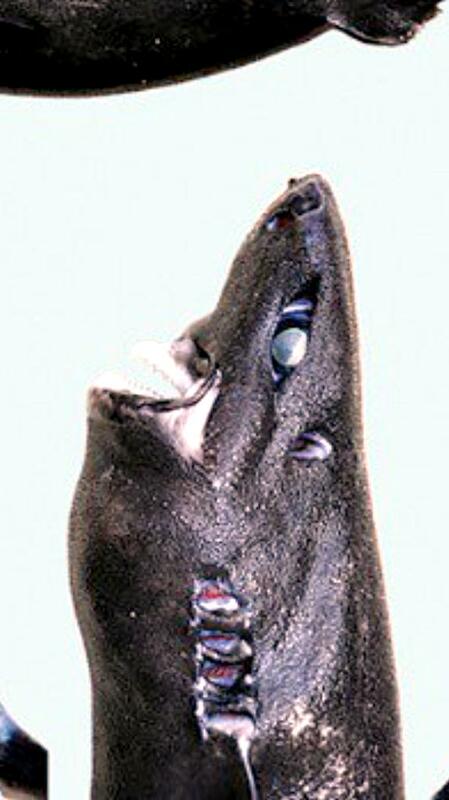 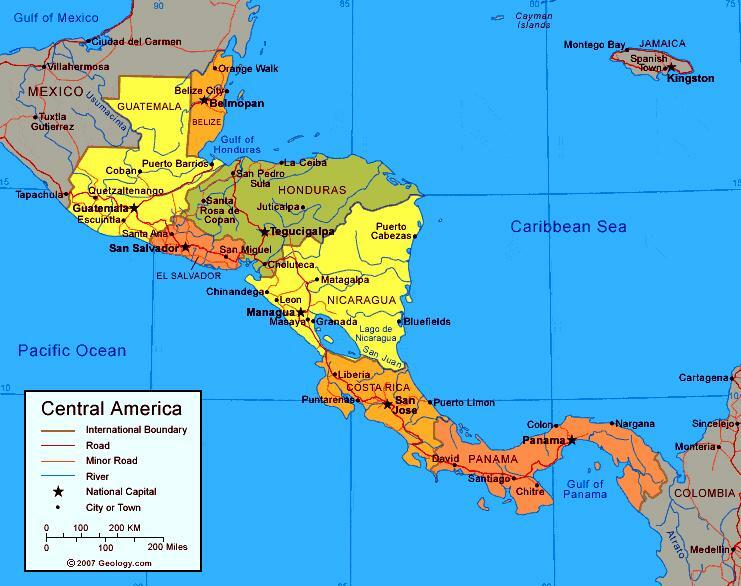 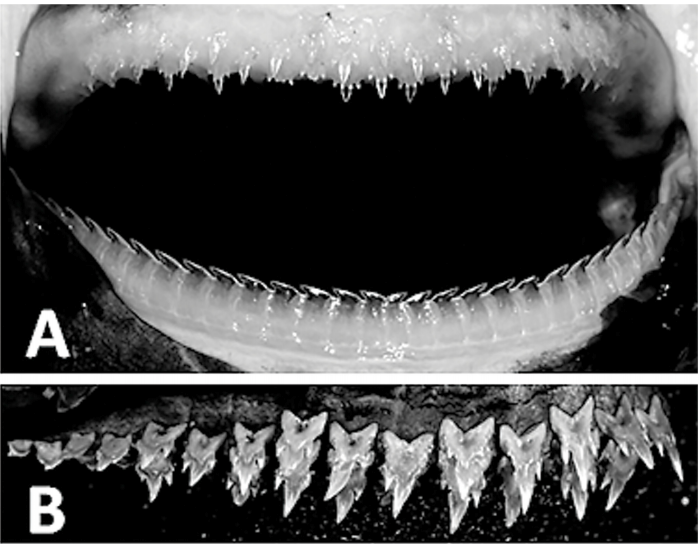 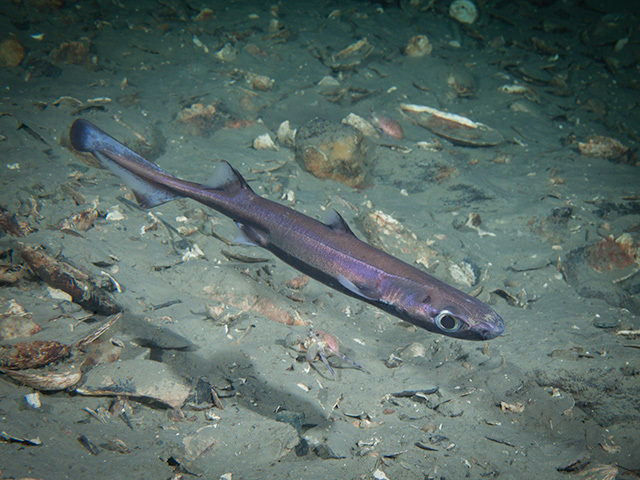 This new species of shark is presently known to exist only in the Pacific coastal region of Central America.